The LDS Church’s for-profit firm City Creek Reserve is behind the construction of the $2 billion mixed-use shopping space that spans two city blocks just across the street from Temple Square. And what’s amazing is that the Church paid for City Creek with cash, not using a dime of member tithing money. A lot of members, including LDS Living readers, are in support of the shopping center, but I’ve also read comments questioning the Church’s use of money. Some think the Church should be using the money to build temples, and others have even called City Creek “great and spacious.” But I don’t see it that way at all. Think of it this way: There is a huge, metropolitan center literally steps away from the Salt Lake Temple, Visitor Center, Tabernacle, Church History Museums, among other places. 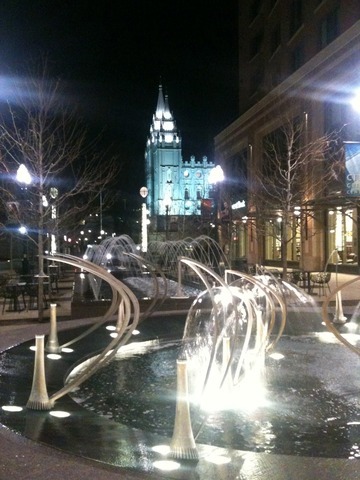 People who might never have stepped foot onto Temple Square can casually stroll over after a day of shopping, or while waiting for a dinner reservation. A new TRAX line is going to run from the airport to City Creek, so people from all over the globe can visit both word-class shopping and the LDS hub quite conveniently. I see so many missionary opportunities coming from the incredible location and overall atmosphere it has brought back to Salt Lake. This was no coincidence, and the Church knows exactly what it’s doing. The First Presidency attended the opening ceremony last week where President Henry B. Erying said, "Everything that we see around us is evidence of the long-standing commitment of The Church of Jesus Christ of Latter-day Saints to Salt Lake City. Downtown, thanks to so many, is indeed rising." This commitment to revitalizing downtown is to preserve the heritage, legacy, and culture of Salt Lake City, Bishop H. David Burton, the Church's presiding bishop, told the Deseret News. And it will no doubt also be a vital tool in missionary work. So before you judge, give City Creek a chance. 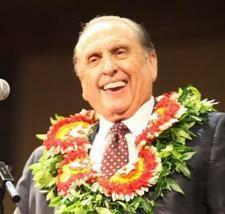 After all, if President Monson thinks it’s a good thing, so do I.